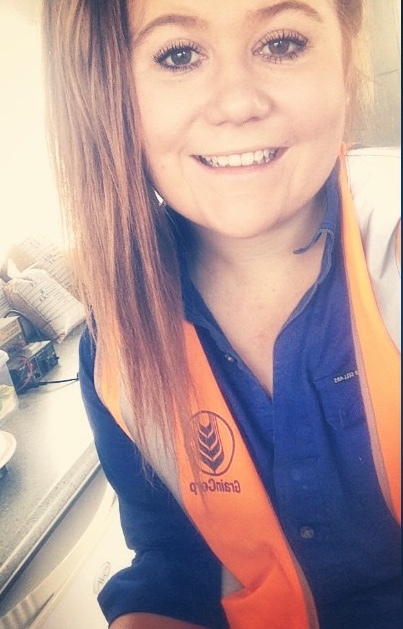 Today’s guest blog comes from Keiley O’Brien who says agriculture has always been a part of her life. Just at times she didn’t realise it. This is Keiley’s story ……. Hello all, my name is Keiley O’Brien and I hail from a very small, very rural town called Gulargambone. 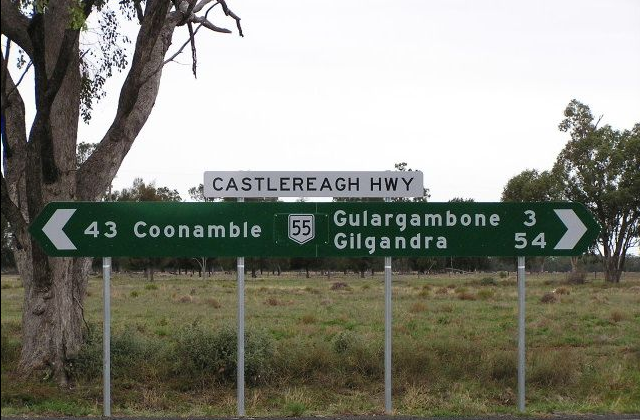 You can find (Gular for short) in Central West NSW about 115km North of Dubbo and . Out at Gular my father owns and operates a transport company which has been in our family for generations. 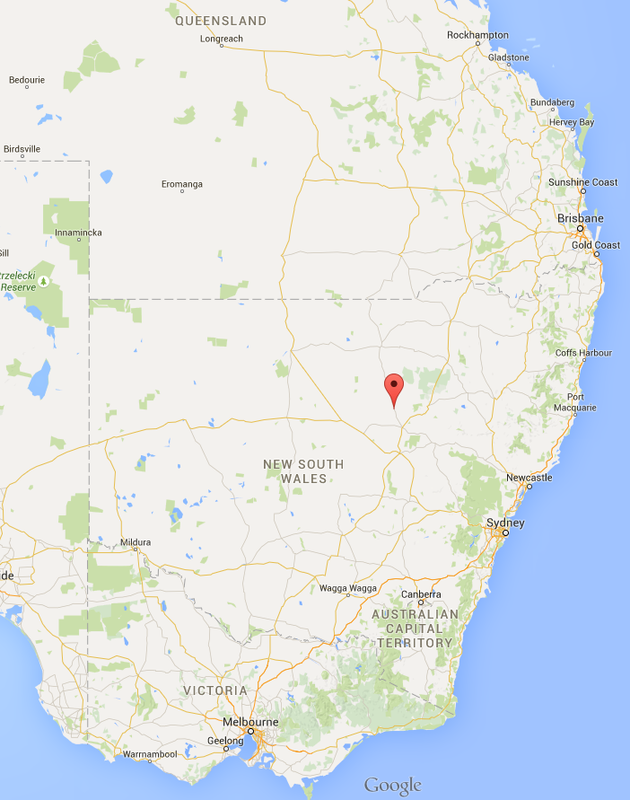 (Gular for short) in Central West NSW about 115km North of Dubbo and six hours from Sydney. Out at Gular my father owns and operates a transport company which has been in our family for generations. Gular is home to 400 people and is primarily an agricultural area, with wheat, sheep and cattle its main enterprises. Pretty much all employment and jobs on offer within the town’s radius is directly related to agriculture. At the end of the weekend, we could actually see ourselves settling down in a little town like this; filled with that true sense of community spirit. Somehow I just didn’t feel that loneliness was commonplace in this town, everyone had a real sense of belonging to something special. I would literally travel to soccer games on weekends in the cab of a truck. Don’t ask me how, but dad could always manage to find a load of wool somewhere in the area to pick up and make the trips worthwhile for him. Same goes with school holidays. If I wanted to go to the movies or shopping somewhere other than the two small grocer’s in town, I had to wait until dad had a load to go into Dubbo or Nan was sent in to grab some urgent parts. Changes in family circumstances led to me living in Dubbo with my mother. Here, I attended St Johns College, Dubbo where Agriculture was a part of the curriculum. Through participating in compulsory Ag classes I got hooked into how important ag was and what it was doing for the world. This made me really start to appreciate where I came from. With encouragement from both my elder brother and teacher I started to get involved in the schools Ag Farm. St John’s was very focused on the beef cattle show steer competitions and took out many champion ribbons at many major shows. It wasn’t long until I was hooked into the showing circuit myself. Due to my passion for animals and need to buckle down into a steady study routine I ended up at Yanco Agricultural High School, a fully residential and selective agricultural high school to complete my senior years of study. In 2009 I won my first major awards at the Murray Grey Youth Heifer Show held in Mossvale. Here I was the Intermediate Champion Parader and Herdsman. I then continued on to win Champion Judging titles at the NSW Beef Spectacular, Canberra Royal, Wellington Show, Trangie Junior Judging Day, Albury Show, Angus Youth Round Up, Charolias Youth Stampede, Gulargambone show and Henty Show along with Reserve Champion titles at the National Limousin Junior Heifer Show, Cootamundra Show, National All Breeds Junior Heifer Show, NSW DPI Livestock Assessment Course and Gilgandra Show. I was also offered a spot to compete in the Angus Youth National Judging Competition but due to age and overlap of a scholarship presentation decided to wait until I was older to test my luck. If you asked me back then I could have sworn that I would end up as either a meat buyer or meat inspector after finishing high school and doing a uni degree. I was breeding my own stud registered Murray Grey Cattle and named the Murray Grey Youth Junior Ambassador two years in a row. I honestly thought that beef cattle was my one true passion. But things changed when my teacher Kim Weller encouraged me to test my comfort zone. In 2011 I entered a grain junior judging competition to help make numbers up in order for the competition to actually run and competitors be given the chance to progress onto the NSW RAS State finals if lucky enough. I knew what grain was, where it came from, some of the products that it went into, and that dad carted it, but that was it. Never in the world did I think I could ever judge it, let alone place in the top 3 and make it onto state. But somehow I did. And that’s where my grain story begins. Since 2011, I have consecutively been selected 5 times to be a participant in the NSW RAS Junior Grain State Judging Finals Competition. And in both 2012 and 2015 I’ve placed as Reserve Champion in the State. (You know that saying, always a bridesmaid and never a bride). I’ve also taken up harvest employment with GrainCorp and work as a grain sampler. I literally take samples of grain from trucks, test them and can determine majority of the important information about that grain using the equipment and machines provided. So from half a buckets worth of a whole trailer load, I can tell the grower the protein, weight and screenings of their grain, which will then determine the grade and dollar they will receive. It’s an absolutely awesome job and I get to have a lot of contact with the growers themselves which is pretty cool. This year I was asked to attend the 2015 Coonamble Show as an overjudge for the grain section of their new day long Junior Judging Competition. It was such an amazing experience to be able to share my passion and knowledge of the grain industry with a large number of kids aged from 5 – 22. I still keep up with the beef cattle and play an active role in the Murray Grey Youth Society as both a committee member and the current NSW State Representative. I’m also a committee member for the National All Breeds Junior Heifer Show and general member of both the Gulargambone Show Society and UNE Farming Futures. Between all this I’m currently enrolled in my second year of a Bachelor of Agriculture/Bachelor of Business at the University of New England in Armidale. It’s an absolutely awesome degree. The lecturers here are so supportive and classes are very hand on and practical. Just this week I attended the Grains Research & Development Corporation, Growers Update, held in Moree as a compulsory fieldtrip for one of my units. Between my degree, previous work and participation in judging competitions I’ve definitely decided that a career in the grains industry is for me. Upon graduation (which is still a few years off) I wish to go into grain receival, logistics and marketing. I find the future and integrity of our foods industry super important. So yeah, as I was saying before, Agriculture has always been a part of my life. Although at times I didn’t realise it, I sure do now. I’m thankful for ag and excited to mark my spot in it as time goes on.